There are two kinds of people in the world, Coffee drinkers or tea drinkers. It’s become so engraved into our life that we go into autopilot mode in the morning and without thinking we have consumed a cup or even two before we step out the door. It’s something that helps to kick start the morning. I’m quite the opposite as I don’t feel the need to consume coffee before leaving for work, it’s just not my thing. But when I’m on my break at work I tend to have a cup then just for the taste. I’m more of tea drinker to be honest and like having 2 cups per day. To minimise any stains I always swish my mouth with water afterwards. There’s nothing wrong with drinking coffee or tea but you need to take care and be aware of the risk of staining to the teeth that will occur. Today you will learn some basic things you can do to minimise any staining but if your someone who has quite severe discoloration then we will also talk about the things you can do to tackle this as well. Just a quick note, this post is about Teeth Whitening For Coffee Drinkers which is slightly different to someone who drinks tea which will be covered in another post. First of all, teeth staining caused by food and drink are known as extrinsic stains. This type is mostly related to the individual’s personal harmful practices which include smoking, tobacco chewing, beetle leaves, areca nut chewing and dietary habits. Coffee contains a whole host of acids and pigments such as tannin which are the cause of staining. You see the teeth are not flat in structure, they have tiny little pits and grooves going across them. These grooves can hold particles of food and drink. When you drink coffee the pigments spread around the teeth and become embedded onto the surfaces of the teeth. Overtime the accumulation of these pigments will cause the teeth to stain yellow. You might be fooled into believing that lighter coloured coffee might stain less but that is not true. 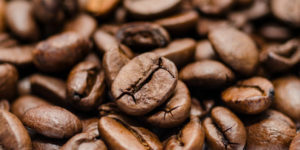 The same pigments and acids will be present in any coffee, adding any sort of whitener will not stop your teeth becoming stained, unless you put significantly less coffee into your cup, which defeats the purpose of drinking coffee in the first place. Which Drinking Habits Cause The Most Harm? Some people like to drink their coffee in one go while others like to take sips throughout the day. You tell me which way causes the most staining of teeth? If you said the latter then you are right. Sipping coffee throughout the day is one of the worst things you can do if your trying to avoid yellowing. Constant exposure to pigments will only amplify their results. Drinking coffee in one sitting is key so that the pigments don’t accumulate too much and make sure to swish your mouth with water afterwards to remove any excess residue left over from the coffee. I know your going to hate me for saying this but please try to reduce your hot drink consumption to a maximum of 2 cups per day. It’s going to be hard at first especially if you are a heavy drinker but trust me, it will be better for you in the long run. 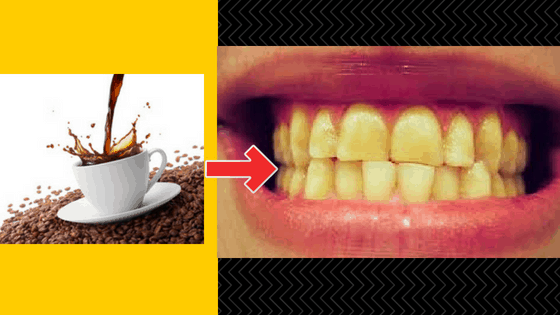 Decrease contact of coffee with teeth. 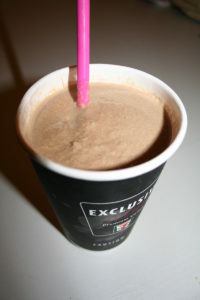 You can either drink through a straw but make sure it’s close to the back of your tongue, or you could just down the whole thing in a couple of gulps. Drink coffee with high fat milk. Animal milk proteins bind polyphenols (at least until the coffee reaches your stomach) and bind better the higher the fat content of the milk. All these treatments can be carried out at home and are safe to use unsupervised. If you have minor little stains on a few teeth then a tooth whitening paste or whitening pen will be enough to get rid of those, but more darkly stained teeth will need an extra strength treatment. The easiest treatment option available on the market. Using it you will feel as though you are actually brushing your teeth rather than whitening them because of how it is applied to teeth. It’s basically a tube of gel which comes shaped as a pen that you just write all over your teeth with for 5-10 minutes. However, this method requires that you apply it 3-4 times per day for 7 days straight to see any permanent changes. Most pens are hydrogen peroxide based but you can get some that are natural based but I doubt that they will work better. This method is also the cheapest ranging from $5 – $40 depending on the brand and what active ingredients are contained within them. I have brought and used the Billionaire Teeth Whitening Pen and have noticed some great results with it so far. This is another simple method to help whiten stains caused by coffee or tea but I personally think it’s a waste of time because it does not give good results. It also takes around 6-8 weeks to see any changes if at all, and that’s if you completely get rid of consuming coffee which is unfeasible for most people. But if you want to try it out go ahead, but make sure the brand you buy has a seal of approval from a reputable dental organisation such as the American Dental Association Seal of Acceptance. This means the toothpaste is safe and effective at removing surface stains. But if you actually want to see REAL FAST Results then….. The whitening trays Are For You! I would personally say they are the best in between choice for getting optimal results but without the expensive prices that you will have to pay at the dentist. These are usually brought online or over the counter depending on the retailer. Basically you are provided with mouth guards which you insert into your upper and lower teeth to get a mould of your teeth. You then place the whitening gel (most likely Carbamide peroxide) into each of the indentation and place the mouth guards back into the mouth for 40-60 minutes. 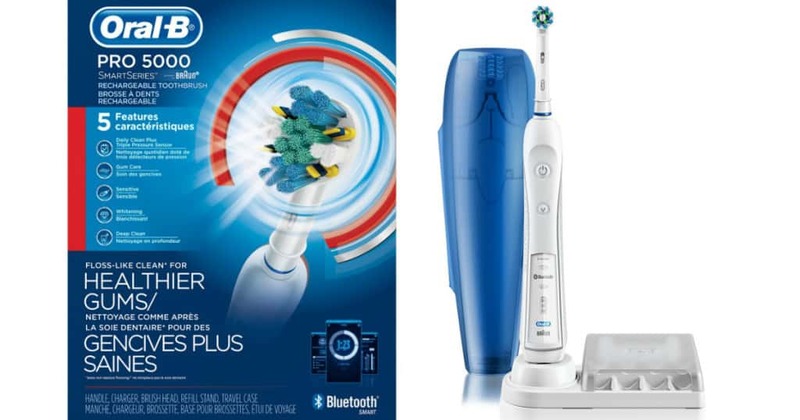 Some kits come with a blue LED which activates the bleaching agent leading to faster whitening of the teeth. There are different varieties available on the market for example, some kits come with trays that you need to submerge into boiling water for a few seconds before moulding them into your mouth. Others come already prepared so no extra preparation steps are required. Prices range greatly with this procedure that’s because there are numerous companies out there providing this product. Your looking at anywhere from $50 – $200. Billionaire Teeth Whitening Rated Excellent! This is your typical Whitening tray kit which is quite easy to use and gives you results in as little as 7 days. 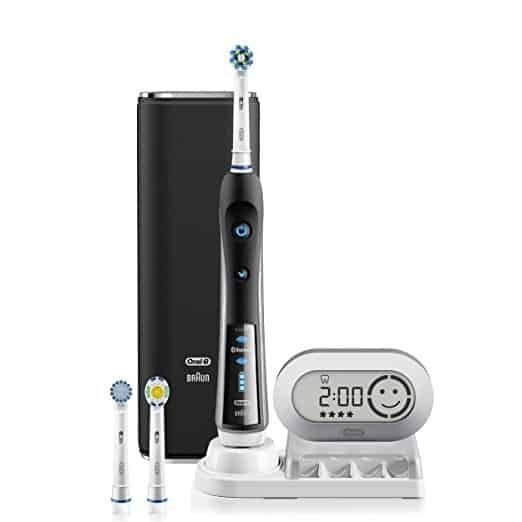 One major concern with these kits is the sensitivity issues that arise after using it but this particular kit comes with a blue desensitising gel that helps to soothe teeth if you feel any sort of discomfort. Does It Work For Stains Caused By Coffee? YES, the Billionaire teeth whitening kit is exceptionally great at destroying coffee stains. It works after just one use but the manufacturers recommend you use it for 7 days straight for truly amazing results. Trays that are supplied by the dentist for you to take home cost around $400 – $500. So you see that billionaire teeth whitening is pretty cheap in comparison. Another great feature is the 30-Day Money Back Guarantee they offer so you can shop with complete peace of mind that if it doesn’t work for you, the money will safely be returned to your pocket. Full review of this product can be found here: Best Home Teeth Whitening Kit You Must Use. Act Fast And Get 50% Off Of Everything Before Offer Expires! So there you have it everyone, coffee stains are the most common cause of yellow teeth and depending on how severe the stains are, you have different options available. For minor stains you are better off trying the whitening toothpaste or pens and see if those have any effect. But if you have dark stains then Whitening trays are your best bet. 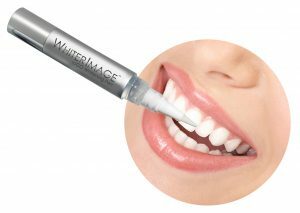 They are guaranteed to work and whiten teeth up to 5 shades lighter. Some even come with a 30-day Money Back Guarantee (Billionaire teeth whitening) which shows the confidence they have in their products. If you have any questions or concerns please get in touch by commenting below and we will answer them to the best of our ability. Hi, I brush my teeth everyday and the still look an off white color. I don’t smoke, drink coffee or tea but my teeth are still an off whit color. what tooth paste would you recommend to use to whitening your teeth? what is the best teeth whitening to use? 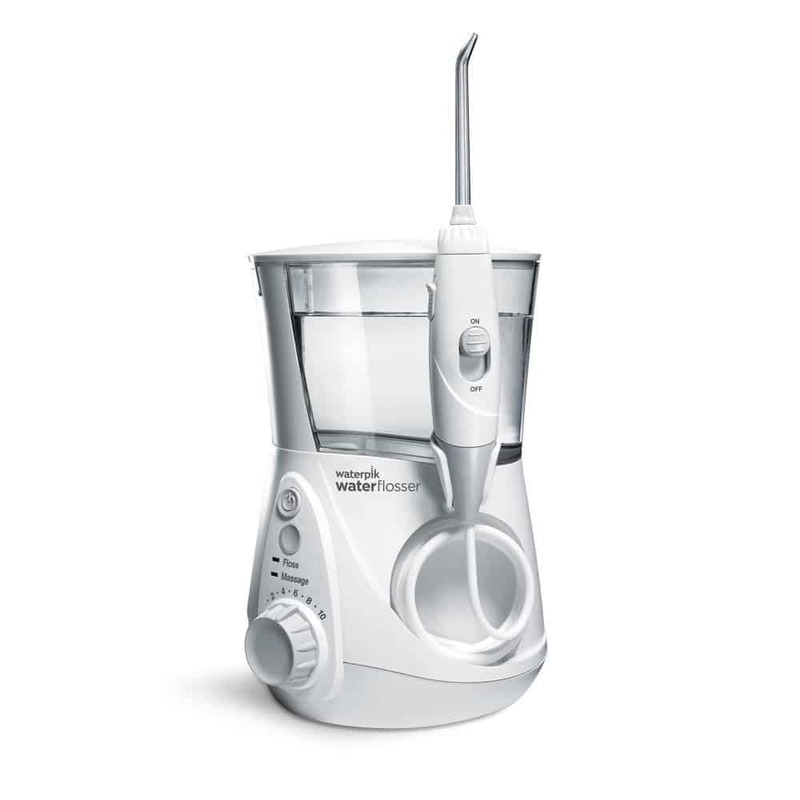 do rinsing your moth effective the whitening of your teeth? Give it 4 weeks and if you still don’t see a difference then i would suggest you go with a whitening tray kit.